BURLINGTON, VT -- In the midst of all the doom and gloom we hear these days, here's something positive: A University of Vermont study finds humans prefer words of positive expression rather than those of sadness. Of the 10 languages examined, the study found Spanish was rated the happiest. An abstract of the study, published in the journal "Proceedings of the National Academy of Sciences", details a close-up look at 100,000 of the world's most frequently used words on social media, TV and film. Researchers then had native speakers rank the most popular on a nine-point emotional scale. "The study's findings are based on 5 million individual human scores and pave the way for the development of powerful language-based tools for measuring emotion," researchers say. "I every source we looked at, people use more positive words than negative ones." Spanish was listed as the happiest language followed by Brazilian Portuguese, English and Indonesian. 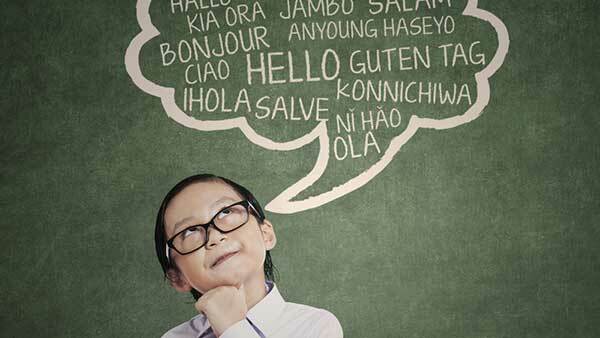 Creators behind the research say their report could lay the groundwork for future work in the area of language research and could lead to a better understanding of words and phrases from less common languages.